I personally love history, particularly that of the country I am from. It holds a romance and mystery that I find somewhat addictive. I could easily write you an essay on this subject alone, however on this post I thought I’d tell you a bit about my own personal journey to the past. Several years ago my Father and I started researching our family tree, we got a fair distance back but life took over and it fell by the wayside. Recently I have resumed this quest to learn about my ancestors with some surprising results. I can probably trace this resurgence in interest to the BBC 1 program ‘Who Do You Think You Are‘ on Monday evenings at 9pm. One episode took a celebrity out to India to trace his ancestors. This was of particular interest as my Grandfather was born in India. However much of this line still remains a mystery (I hope to solve it soon). So if you have a hankering to follow your family lines where do you start? In the UK all births from 1837 onwards had to be registered and a certificate provided, this happily means that most families can (with relative ease) trace their families back to this point if no further. This records can easily be search online using sites such as Ancestry or My Heritage. We also have census records from 1841-1901 which list the addresses, ages and places of birth of every person in the country. This can lead you back a stage with very little effort. Marriage records list the fathers name of both parties, which gets you another generation back and so on. There really is a wealth of resources to aid your search. I am currently using the site Ancestry to do most of my research. They have many resources, including the ability to compile an online family tree. It was through this tree that I came into contact with a distant cousin who could complete my tree all the way back to the 1600s! Saved me a lot of work and I found out some fabulous information. For example one distant relative was sent to Australia for stealing cheese! I have also been contacted by a person in Europe who is a distant relative of my husband who still lives in the rather ancient ancestral home. Have any of you embarked on your family trees? This entry was posted in Miscellaneous and tagged family tree, interest, research. Bookmark the permalink. I love the idea of doing this, but hard to know where to begin. Thanks for the tips. Who would of thought stealing cheese would carry such a punishment!! It hasn't proved too costly so far. All the research has been done by my Father and I. Sites like Ancestry do charge (either monthly or a set fee for 14 records) but most have a free trial. The main expense is when you find a relation and order the official certificate (as this gives much more detailed information). But they are only £7-8 if ordered from the local record office, but they could add up over time I suppose. I've been researching my family tree too, it does get somewhat addictive though I spent over a year on it! I've managed to get back over 2,000 years but decided to take a break for a bit and go back to it afresh in a few months time. 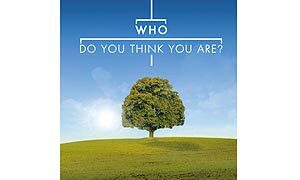 Ancestry has been incredibly useful, I'm also using the Who Do You Think You Are family tree maker which is good. Cost wise I'd say a years research probably cost me about £150-£200 with the ancestry subscription and birth/death certificates i've requested. I haven't worked on it for over a year now so looking forward to getting back onto it soon when I finally get some free time!